Andrews University is pleased to welcome world-renowned conductor Maestro Herbert Blomstedt to campus. Maestro Blomstedt is a Seventh-day Adventist Christian musician held in high regard by musicians across the world, not only for his conducting career but for his spiritual ideals, as well. Blomstedt is currently Conductor Laureate of the San Francisco Symphony and Honorary Conductor of the Bamberg Symphony, Danish National Symphony Orchestra, NHK Symphony, Swedish Radio Symphony, Leipzig Gewandhaus Orchestra and Staatskapelle Dresden. 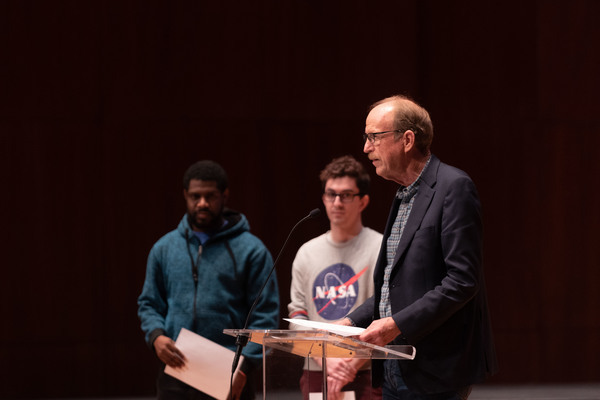 In addition to teaching master classes for Andrews music students during his visit to campus, Maestro Blomstedt will present at two events open to the public. There will be an interactive lecture by Maestro Blomstedt as he discusses a video performance of "Ein Deutsches Requiem" by Brahms on Wednesday, Feb. 13, at 6:30 p.m. in Newbold Auditorium, Buller Hall. Blomstedt will conduct an open rehearsal of the Andrews University Symphony Orchestra on Thursday, Feb. 14, at 7 p.m. in the Howard Performing Arts Center. Both events are free and open to the public.